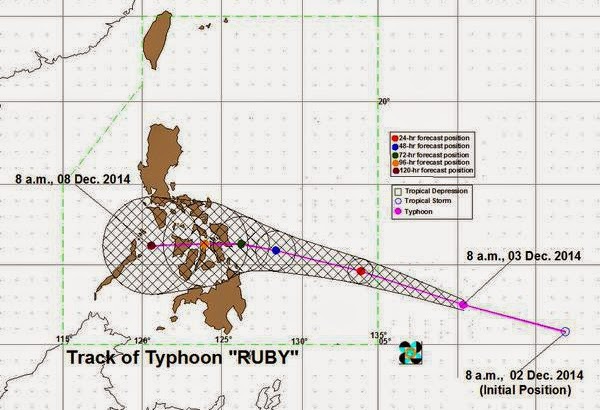 Dec 4: Typhoon Ruby (Hagupit) became a super typhoon on Thursday morning. The latest weather updates of typhoon Hagupit revealed that the cyclone intensified and became a super typhoon reaching over 220 kph of wind and gustness upto 290 kph Several weather agencies were conflicts with their tracks whether which path will Hagupit goes. 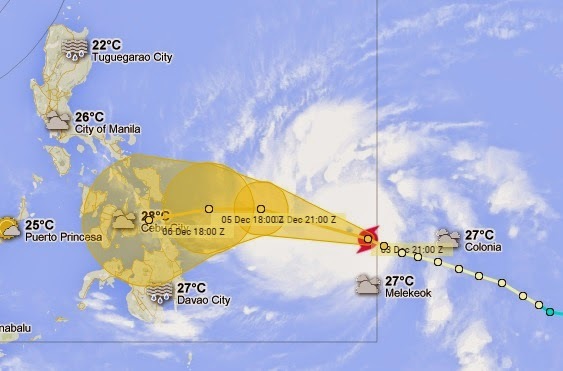 It will landfall in eastern visayas by December 6-7, 2014. HAGUPIT now locally named "Ruby" has rapidly intensified into a Super Typhoon as it enters the Philippine Area of Responsibility (PAR)early this morning...increasing its threat to Eastern Philippines particularly Eastern Visayas and Bicol Region this weekend.